This was the organization’s 2010 Annual Report, which was distributed at the annual meeting in the spring of 2011. 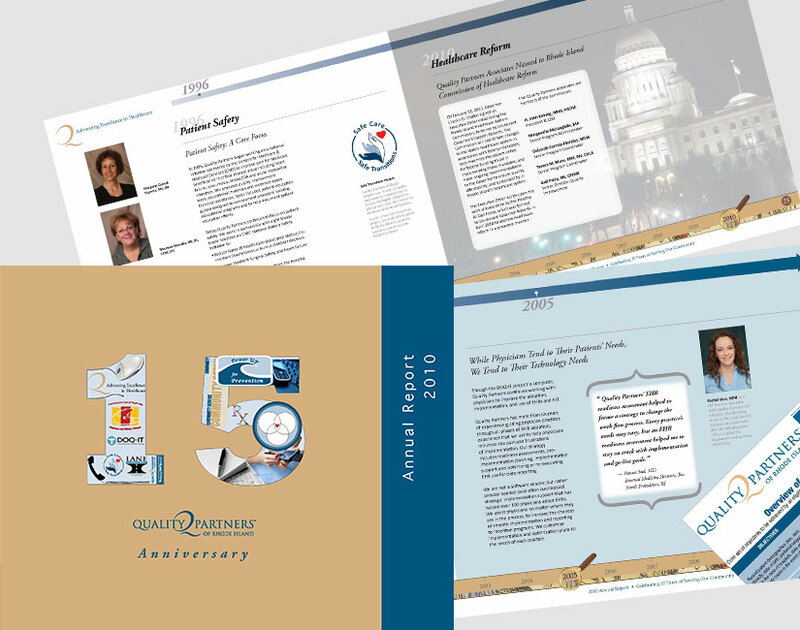 As a tribute to the organization’s 15-year anniversary, the report features stories from the past 15 years. Also, the cover features key projects from the same time period. In addition to the design work, I assisted with the concept development and presentation to the CEO, writing, copyediting, photography creative direction, and overseeing print production.